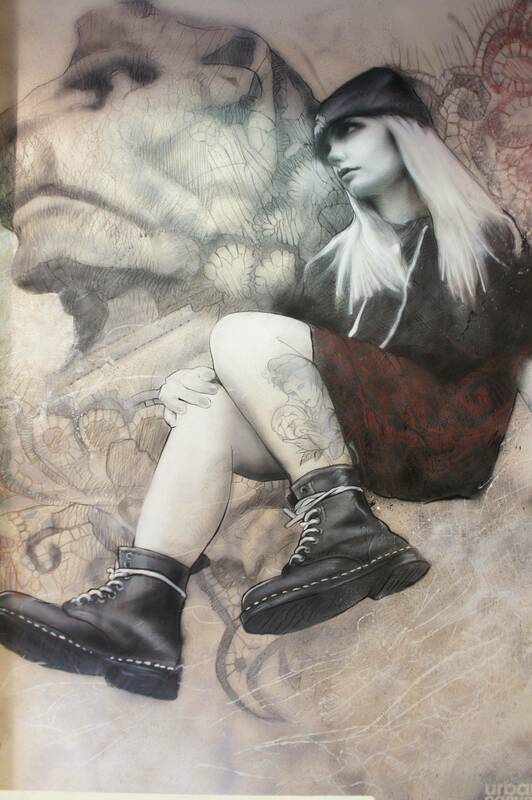 The project by Dr Martens aimed to embrace local artists from the communities in which the stores are located, artists have been commissioned recently Cardiff, London and Glasgow. 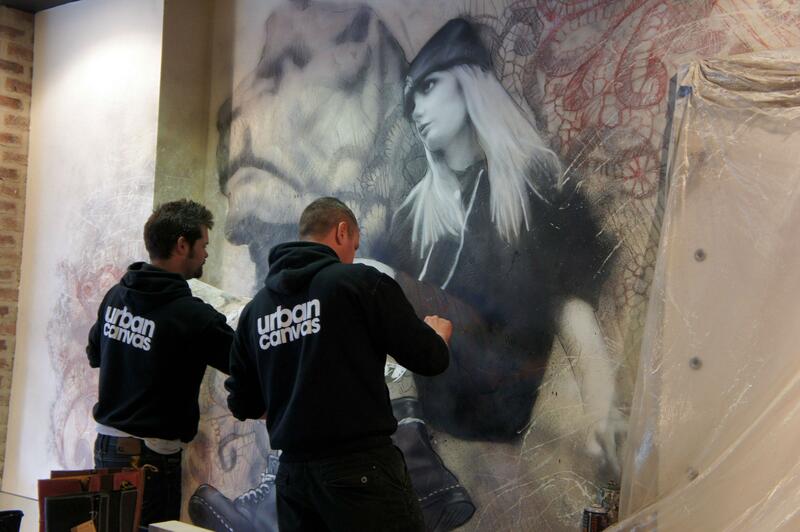 The Urban Canvas artists are visual artists, modern mural painters and professional graffiti artists that design and deliver a broad range of creative projects across the UK. 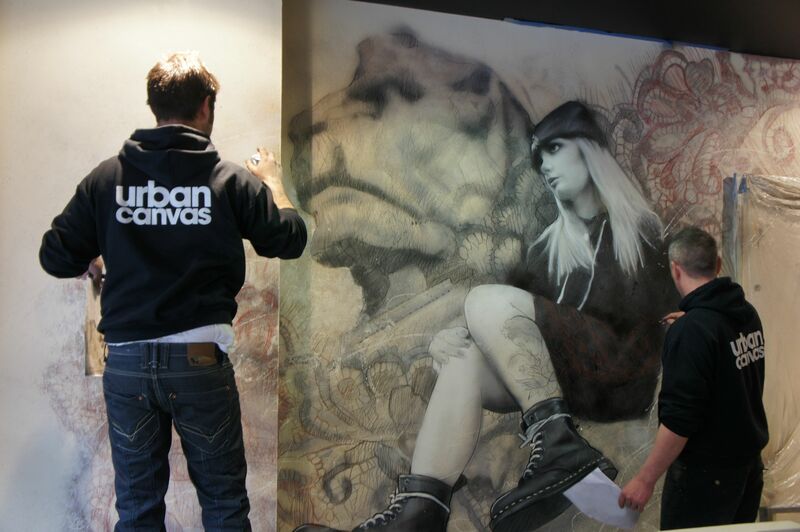 I've been taking a look at their website and they are amazing, if you visit the website take a look at some of their work using the tabs on the left! 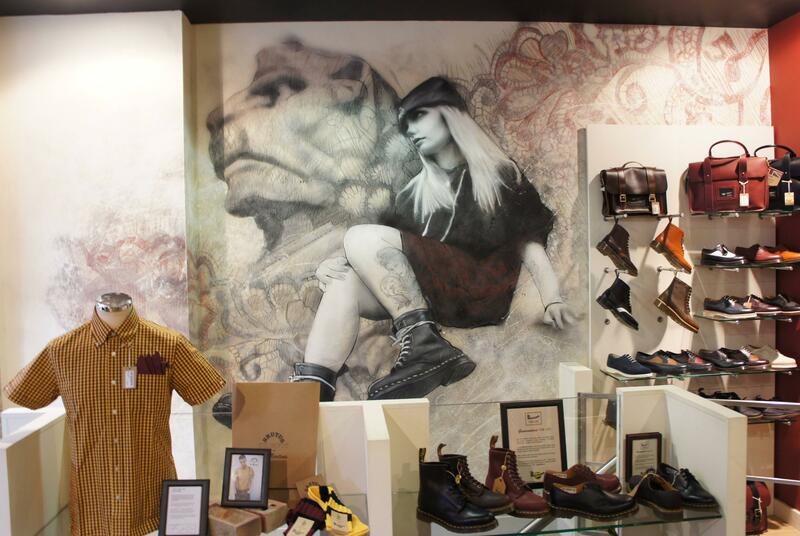 They did a great job combining areas of Nottingham (the lace market, the lions, the tattoo culture) to create a piece unique to Nottingham relating to the local customers. 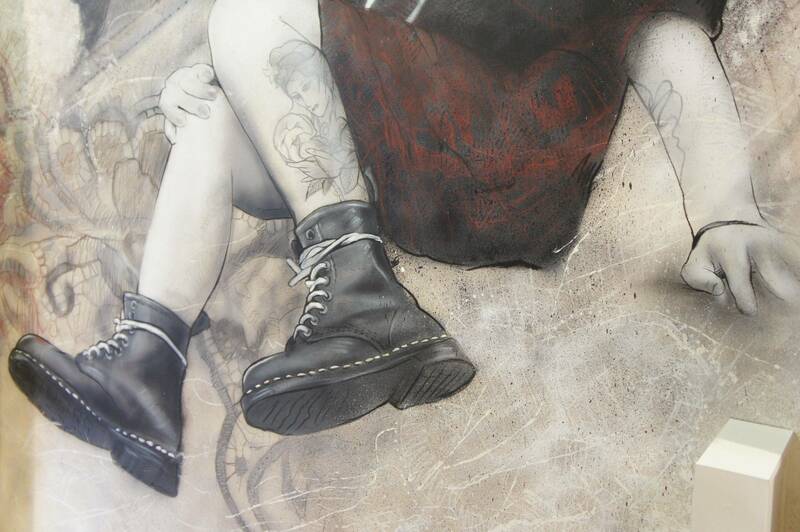 I also love that a company as big as Dr Martens are commissioning local artists for this project which makes it more personal for each City. If you are interested in seeing more pop back next week as I will sharing a short film documenting the making of. 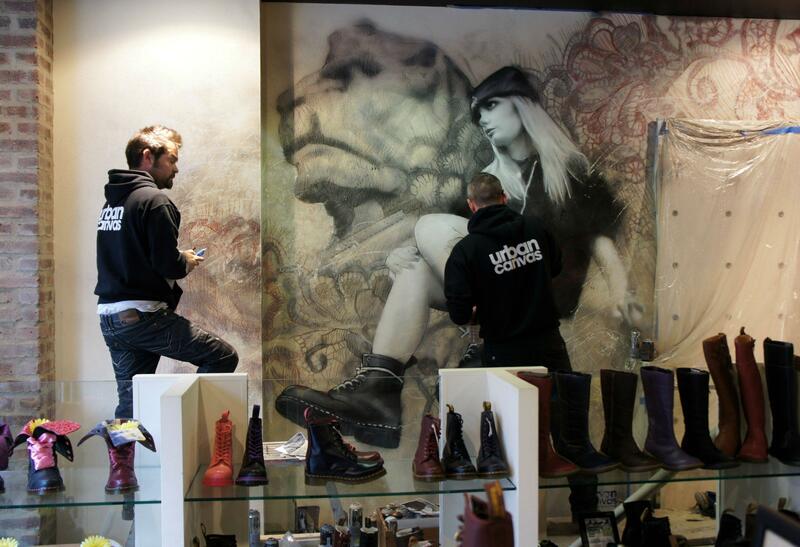 I love it when shops actually care about the interior and making each store different, and its amazing that such a huge company are like you said using local artists, amazing what they have done, beautiful work! Wow that's amazing, love what they came up with. 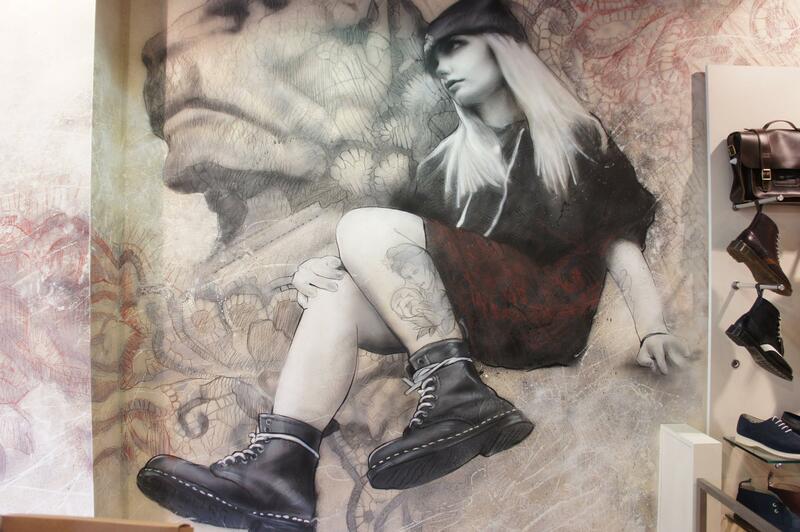 And what a great idea from Dr. Martens to showcase local talent like that as well.